The stories over the past several days linked to on the front of SteveQuayle.com out of Fukushima, Japan and the West Coast of the US read like a slow-motion disaster movie unfolding before our very eyes. While most Americans heads remain 'buried in the sand' about the ongoing dangers of Fukushima, at least we're getting some truth, and as we learn below, from a most unusual source. From the horrifying story published March 1st on ENENews warning a mysterious cancer is now killing sea lions along the US West Coast, turning their bones to 'mush' and leaving 'masses of yellow, cancerous tissue' that is leaving the animals dying at 'alarming rates' to their March 3rd story warning 'many at Fukushima now have brain damage'. They share with us news of a secret hospital being used to treat those sickened by radiation exposure, yet we see our mainstream media has failed us once again. Neglecting to report upon practically anything of significance coming out of Fukushima, why has the MSM seemingly censored a topic that could have profound impacts upon the health of us all? 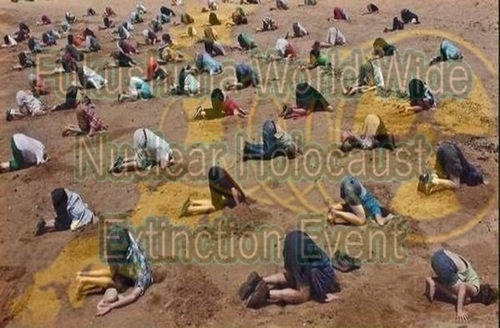 As we learn from ENENews February 28th story, at least one so-called expert has the eyes to see what we've all been witnessing, claiming outright that the mass die-offs on the US West Coast are due to Fukushima radiation. Meanwhile, a mind-numbing number of 'experts' continue to claim they have NO IDEA what has been causing the mass die-off's we've been witnessing and reporting on for several years now. 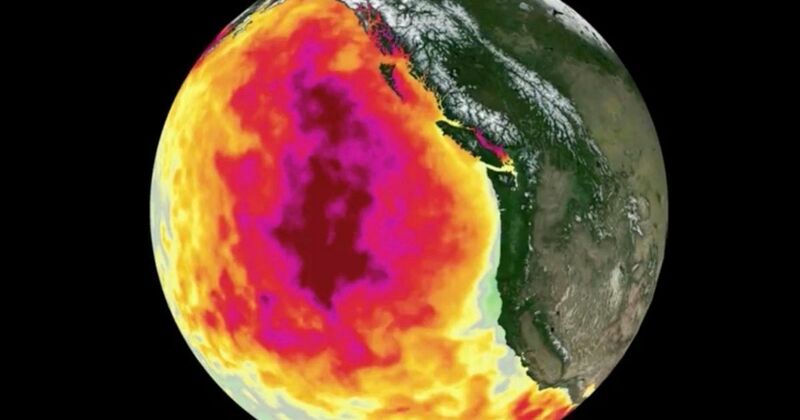 In this recent story from National Geographic they reported "a striking new view of the Pacific 'blob'" had been seen, a massive and still-growing 'warm water anomaly' that has been growing for several years now in the Pacific Ocean, first noticed by scientists back in late 2013. As Fox News recently reported, 'the blob' is responsible for a spike in the ozone levels across the West coast. As we hear in the 1st video below, "the blob" has also been responsible for some absolutely bizarre United States weather recently and as the previously referenced Nat Geo story tells us, in some places, ocean temperatures have been more than 10 degrees above average in the ocean waters affected by 'the blob'. 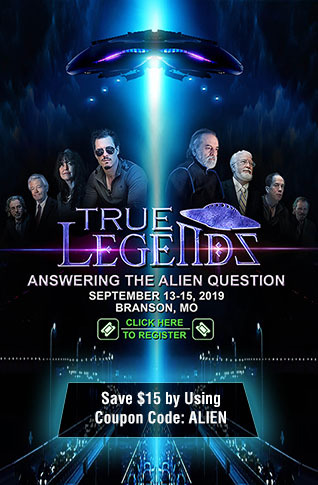 Might 'the blob' be due to Fukushima and could it be playing a role in the mass deaths that have been ongoing for several years now as have been steadfastly documented by the End Times Prophecy Blog? Could I just make an observation that’s been missing from this interesting discussion? Fukushima accident is not over – not by any means… The cancer rate in Japan is going to rise steadily. It’s going to be denied by the government because there’s no transparency on this issue in Japan. There’s a particular example of the problem that intrigues me is when they put the plant in, they not only dug it out so it’d be closer to the water source – the sea – but they put it where there was a river flowing underneath that area. They went up the hill and they diverted the river so that it flowed down on the sides of the large area there and that was no problem. They never anticipated an earthquake could wreck their diversion. So now we have a strong underground river flowing directly under the plant where three huge globs of molten fuel are sitting on the bottom, giving off radiation, and sending that radiation into the water through the river that’s underneath the plant. And it’s going out into the ocean and we’re seeing damage in the marine life in the West Coast of the U.S. and British Columbia. There’s no way that’s going to be stopped, until they get the molten cores out of there, and they have no way — that they know of — of doing that. Nobody has any idea what to do about the continuing Fukushima contamination. For several years now we've been regularly reporting upon the damage that radiation from Fukushima is doing to our oceans and the plant and animal life within them that have been suffering cruel, unimaginable deaths due largely to what the mainstream media and government's across the planet are still ignoring - the compounded effects of the radiation from Fukushima. Looking back at some previous stories from other independent news sources over the past several years prove that alt media has been covering this 'slow motion disaster movie' for a long time. Back in May of 2012, Infowars published a story in which they reported a former US Army General had claimed the entire Northern hemisphere was at risk of becoming largely uninhabitable at some point in the future due to Fukushima radiation. On August 19th of 2013, Michael Snyder over at The Truth Wins published a story called "11 Facts About The Ongoing Fukushima Nuclear Holocaust That Are Almost Too Horrifying To Believe", a story filled with linked facts proving our increasing vulnerability to what could be the 'greatest environmental disaster of all time'. And while the Fukushima news coming to us from the mainstream media continues to be comparable to 'crickets', the mass animal deaths continue unabated while the entire northern hemisphere continues to be blanketed with an invisible poison which the MSM in vain hopes will simply 'disappear' if they don't report upon it. 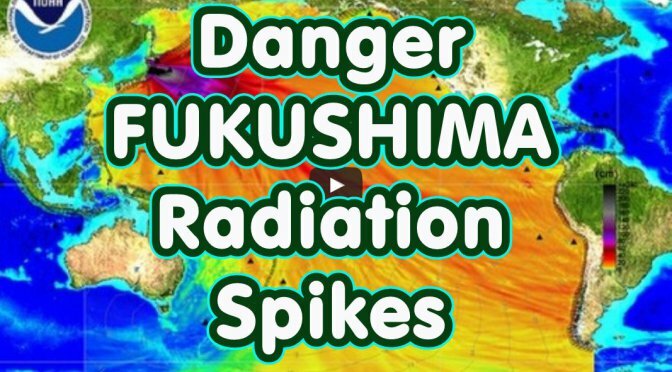 In the 2nd and final video below, Bill Still reports on the disaster that is Fukushima, warning that 'Fukushima is now coming for California', whether the socialists, communists, anarchists and snowflakes in California like it or not.